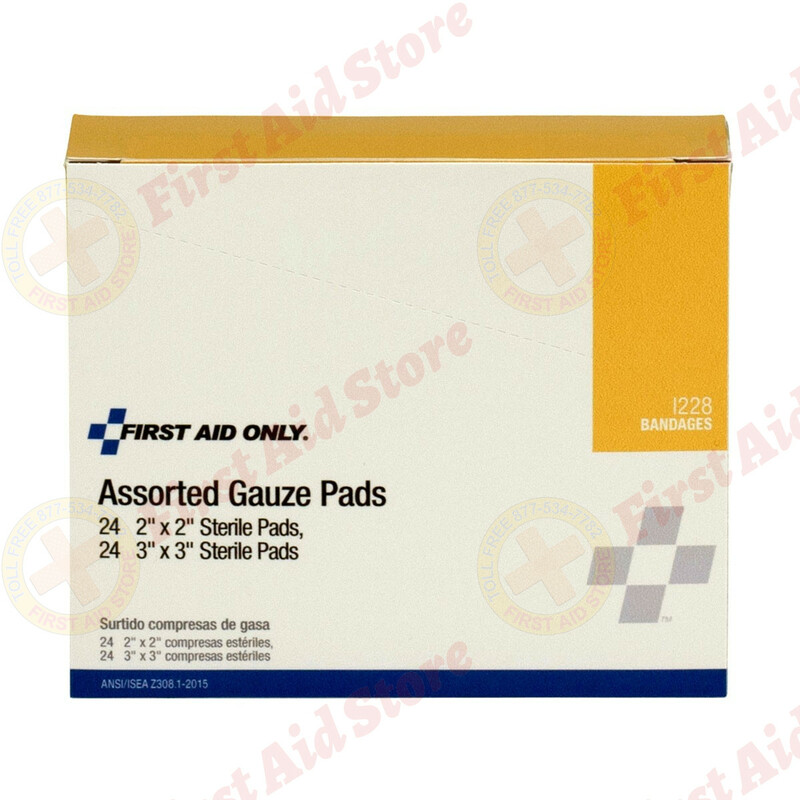 Find the Combine box of 2 inch & 3 inch Gauze Dressing Pads at First Aid Store™ - 2" x 2" and 3" x 3" Gauze Pad, 8 Ply & 12 Ply, 2 Pads Per Pack, 12 Packs of Each Size Per Dispenser Box: a convenient dispenser box of multiple sizes for treating different wounds. 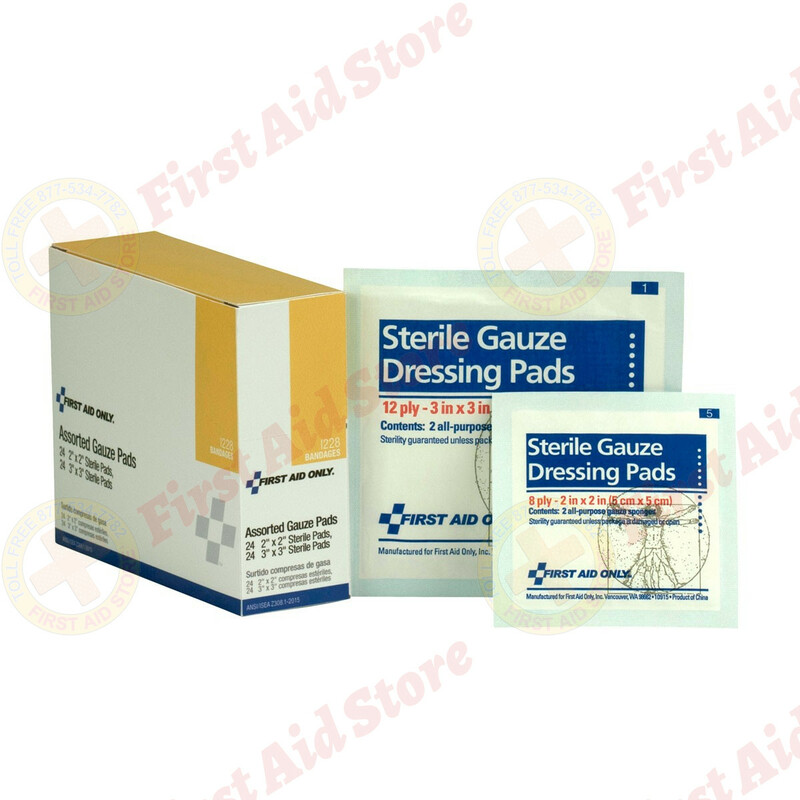 The 100% pure gauze pads in our combination pack are packaged in 12 two-pack sterile envelopes making them perfectly suited for cleaning wounds and applying medication or antiseptic. These non-adherent, all-purpose pads permit the wound to drain while allowing air in. 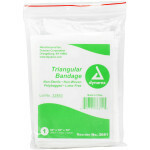 They can be stacked on a wound to absorb additional fluid and can be removed without re-opening a wound. To use: remove from package and apply directly to wound, using tape, gauze or elastic bandage to wrap. 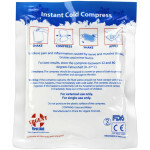 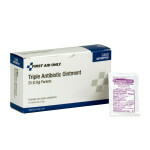 The First Aid Only® Dressing Pad, Gauze 2" & 3" - 48 Per Box.